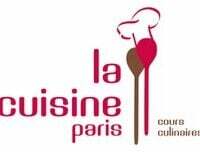 I’m doing a little booksigning this Saturday at La Cuisine cooking school in Paris. It’s going to be an informal affair and if you’d like to come and get a book signed, this is your chance. 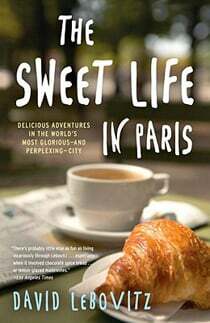 There will be copies of Ready for Dessert, The Perfect Scoop, and The Sweet Life in Paris and I’ll be at the school, from 5:30 to 7:30pm, which is located at 80, quai de l’Hôtel de Ville. You can get a map, and more information, at the Facebook event page. Ah, if I had the funds I’d jet back to Paris at any excuse, copy of my book in hand to be signed. I hope you have a lovely time meeting your enthusiastic fans. Funny, a copy of your book is sitting within reach, only I’m in California. Maybe the next signing you do a signing in Berkeley! I love that book, by the way. It’s the best guide for anyone going to France for insight into local customs. I took a class at La Cuisine in April and it was fantastic! I recommend it highly. I also attended a book signing that David did for SOS Help, the English speaking help line in Paris and it was fantastic too! Hi David, I’m a great fan but too expensive to fly Paris tomorrow. I could use that money to prepare all your fantastic recipes; if I purchase the book, will I get a signed copy? I too would love to fly to Paris with my dog eared copy of The sweet life…here’s hoping you have a pleasant, yet busy evening! and a happy bastille day to you! I can’t believe I missed this!! I took a baguette class at La Cuisine and they said you were going to be there on the 14th. I just returned from Paris after being there for a glorious month. The Sweet Life in Paris was the best guide book. We experienced all of it. I wanted so much to meet you but then read the chapter on visitors :) Thanks David!! Loved loved loved Paris! Just came home last night from paris and will so miss meeting you. I would have asked you this about paris restaurants…are there any french or EU codes for restaurant hygiene, and are grades available? I was really enjoying my rare honeyed duck breast until i realized i was not alone, so to speak…vraiment, am i being too tough in expecting more.